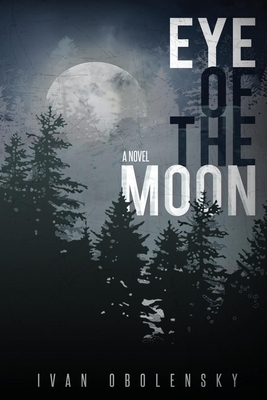 "Eye of the Moon is a gothic mystery of the finest order, Eyes Wide Shut meets Agatha Christie." From the family butler, they learn that Alice's story is far darker than anticipated, and will impact all their lives, particularly Percy's, before the weekend concludes. All who attend are ensnared in a surprising web of mystery, Egyptian occultism, sumptuous elegance, and intrigue, where family members, guests, and even the servants have their own agendas, and nothing is what it seems. This complex and sophisticated gothic mystery thriller is a page-turner you will not be able to put down. "It's gripping, intense, thorough. Everything I wanted in a thriller and then some." "This was such a surprise. If you like big house mysteries, Downton Abbey and Cluedo 'who done its', you will love this." "Eye of the Moon kept me engaged from start to finish. I read it in three days." "Eye of the Moon is a well written, enjoyable gothic mystery filled with secrets, treasures, twists and turns, and the paranormal." "Truly magical A compelling story, with an original plot full of mystery, colorful characters and unexpected twists and turns, that keeps the reader in suspense until the very end." "This story held me spellbound throughout." "Eye of the Moon is a delightful suspenseful adventure into a world of aristocracy and mystery. Lively conversations, wonderful, diverse characters and vivid detailing gives one a feeling of being there. Overall this is an intelligent read that keeps you turning the pages." "I could not stop reading as I was entangled in the many twists and turns, a fun and unforgettable read." "True to the promise it makes, it's a book that kept me reading well into the night. It's incredibly suspenseful and full of great conversations and characters." "This is one of those books where you'll have a sudden realization while flying through the pages that you don't want the book to end. If there ever will be a sequel to this book, I'll definitely read it."